A week ago, I photographed and did an interesting and inspiring interview with an artist, actor and acrobat. She said something that made me think. In many ways, simple and yet so relevant for anyone engaged in creative work. Some years ago while she was rehearsing for a movie shooting, the director of the movie told her: “You are too much of a good girl, doing what you are told. Loosen up and don’t give a damn!” She followed his advice and suddenly her creative career took a giant boost. I think in my younger days I was too much of a good boy, too. I did what I was told. Creatively I certainly didn’t draw outside the lines. I follow the “rules” and did what I was supposed to do. Although nobody gave me the same advice as this artist I interviewed got, slowly by slowly as my creative self matured, I started to care less and less about doing the “right” thing. Instead, I have become more like a rooky, creatively speaking (not necessarily in my interaction with other people). I think we all need to be less nice or good and rather let loose and don’t think so much about what is the right thing to do. When we start to don’t give a damn, we enter into a different mindset, our creative thinking changes, we see differently and begin to discover new ways of expressing ourselves. Our creative voice will take a boost when we loosen up, if nothing else, because we start to create and do things differently from everybody else. Giving ourselves permission to don’t give a damn will be the first step towards a distinctive way of seeing and expressing ourselves. Thus being bad isn’t always bad. On the contrary, we need to be a little more bad—and please understand me right when I say so. There is a Swedish saying that goes like this: “Nice girls come to heaven, bad girls can come as far as they like”. Unnecessary to say, it goes for both girls and boys. On a different note, some of you may have noticed I have been absent from the blog sphere the last week or so. It’s just been extremely busy times and I haven’t had a chance to engage in social medias. However, I hope to be back now that summer on this part of the hemisphere is approaching and life may start to become a little less busy. I so agree with you Otto. I’ve learned to loosen up over the last few years and in fact you could probably say I’m the black sheep of the family. My siblings don’t get me because I’m not conforming but I don’t care like I used to. I’m tired of doing what others expect me to do. You could say “I don’t give a damn”. Yes, I completely agree with you. There are too many in this world that don’t give a damn about others. Loosening up is the thing,! Glad you are ‘back’ , Otto. I am glad to be back. Thank you, Paula. This image reminds me of the song of Tears for fears “Shout, shout let it all out.” I also think it’s healthy to do this occasionally. You become sick of strong emotions if you do not let them out. That’s another side to it all, isn’t it. Holding back emotions are seldom very good for self. I spent nearly my whole life trying to fit in. Now, I don’t give a %@#! Don’t too many of us try to fit in. I agree with you: %@#! A very nice piece inspiring like so often. I love the picture! This statue is situated in Oslo, Norway. Inspiring as always! It took me about 50 years to even loose up a little…Good Girls always have problems. Never too late to be a little “bad” is it! 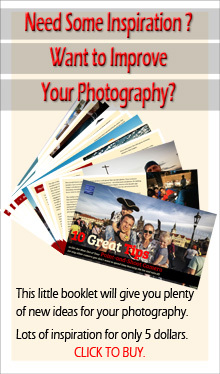 …confidence and more knowledge – you get assured that you are as good as anyone else. I like that. I’ve never been much of a rule follower anyway. Mostly the busyness (I like that word) has been both pleasant and productive. Thank you, Linda. Otto, being a bit naughty opens one to various circular thinking. While no one wants to be considered bad, today the cultural lexicon actually says that bad is good. Interesting thought. Some do it naturally – others are natural contrarians – and others do need that alter ego mindset to see things a different way! Well, isn’t that the beauty of us human beings. We are all so different. … and cheers for that! LOVE the capture but more-so this advice – does one’s soul good to color outside the lines! Sometimes we should disregard the lines completely. Enjoyed this post. Its good to be a bit provoked into change at times. We go through so much of our lives behaving and doing as we think we should that it is hard to ever just be ourselves. You are very right. There so much pressure from everywhere on how we ought to be. That is another good quote. Indeed, let loose means let just play, when you just think you are playing then the boundary expands – rules are loosing up. Playing without boundaries is pure fun, isn’t it. Bad is good enough, isn’t it! We might even be reading the same book. You just don’t want to agree with me, rebellion as you are! Timely words, Otto. The same day I read this post, I walked out to the historic cemetery nearby to work some more on my “cemetery art” series. I thought about what you had written and realized that I need to break out of the way I’d been approaching this series and try some more unusual approaches. And by the way, when someone tells me “You’re bad,” I consider it the highest compliment I can get! Great post, and I love the statue. It conveys your topic perfectly. I loved the capture (pic)…..it’s beautiful a true depiction I must say. So right. Thank you for commenting. A truly enjoyable read, Otto, and some very good advice. And thank you for the response, Lisa. What a fascinating life you lead! I love the “don’t give a damn attitude” of your post, Otto. Sometimes we can be much too uptight as a society. Excellent message. Yes, uptight is the right word. Thank you. Well said, Otto. I belong to a local Camera Club (as I a sure many photographers do). Camera Clubs have regular competitions – but to do well in a club competition you have to ‘play it safe’ and produce something that is ‘likeable’ by the judge. These competitions my help the novices but they do nothing to encourage invidividuality or maverick behaviour photographically. At some point we all have to decide whether we are taking images that we want others to ‘like’ or for our own personal pleasure and growth as individuals and if someone else likes what we do, then that is a bonus. It’s an uncomfortable decision to make initially, but it frees us up to be who we really are. You make a poignant point. I see the same with photo clubs. There is a positive encouragement. But it’s harder as soon as you start to venture off the beaten tracks. I’m glad you passed that advice the actress got on – you’re right, it’s just the kind of spark that one needs from time to time. Nice has it’s place, but not within real creativity. The photo is so perfect with the message! Absolutely, nice has its place. I should have pointed that out as well. Thank you, Lynn. For sure, Otto, I know you care a lot. The things you do tell me so. Not giving a damn, not trying all the time to do the so called right thing is about something else. As I understand you, not giving a damn is about daring to experiment, daring to do the unexpected, daring to go your own way without asking permission. I hope to allow myself living that way too, and I know it will never prevent me from caring about others. Yes, say don’t give a damn is kind of tabloid speaking. Your understand is very coherent with how I see it too. Thank you. The image is perfectly in sync with the subject of your post, Otto. I like it. Words and image. Conveys a lot, hands down. Nice post. It really makes me think. thank you. And thank you for the feedback, Esther. Thank you for a fun response. I like you take on the quote. Made me laugh. 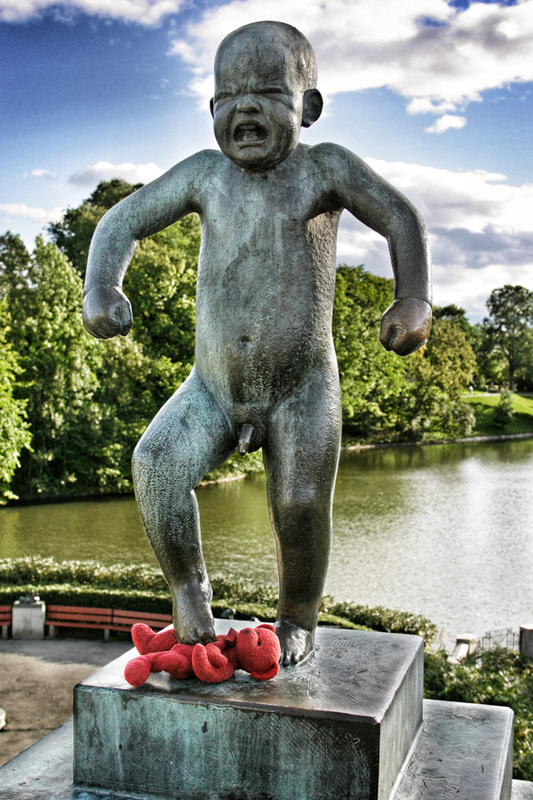 And yes, it’s my travelling Ted and the statue is located in Oslo, Norway.